Ah, so you’re a details person, you want to know more about what you’re putting in your mouth; how it came about, whose idea it was, how many lives it saved. We like you. You’ll go far. 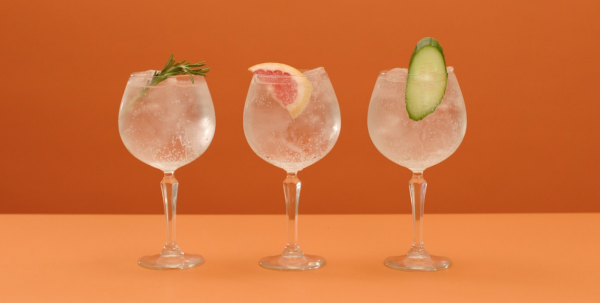 In honour of International Gin & Tonic Day, we’re using the excuse to tell you all about Britain’s favourite drink… the humble G&T. So, by the mid 19th century - gin had shirked its notoriety and had become a steadfast gentleman’s drink and in 1850 when Sir Felix Booth of the Booth distilling family succeeded in pushing a private Members Bill through Parliament which removed duties on export gin, London’s distillers were quick to seize the opportunity and exports of the new dry gin style exploded. In 1857, the British Crown took over governance of India - resulting in an influx of Brits to the country and the creation of The British East India Trading Company. However, malaria quickly ravaged the colony and the Brits (especially the troops) were on the hunt for something to make their medicinal quinine more palatable. Enter, the gin and tonic. In those days, tonic water was infused heavily with quinine, an extract from the South American cinchona tree which was known among the indigenous population as the “fever tree” (see where we’re going with this…?) because its bark was able to stop chills and prevent malaria. Tonic water was how most anti-malarial medicine was administered, so to make this altogether more enjoyable, British troops did as Brits do best, and added booze to it (a spoonful of sugar DOES make the medicine go down). The gin and tonic emerged victorious, saving lives and tastebuds one drink at a time. Some cocktail historians assume that lime was added shortly after as a further preventative trick; lime juice prevents scurvy - however, this sort of ruins the tale of The Gimlet (we’ll save this for another time) so we’re dubious that it was anything other than a garnish nod to the drink's origin. As more and more Brits migrated to India, got a taste for the G&T and then returned to England, the drink crossed the waters with them - and the rest, as they say, is histor-G&T (sorry! ).